Eye pads which have been soaked in hyaluronic acid. The eye pads improve the appearance of stressed, tired skin and make it look and feel fresh, soft and radiant after just 10 minutes. 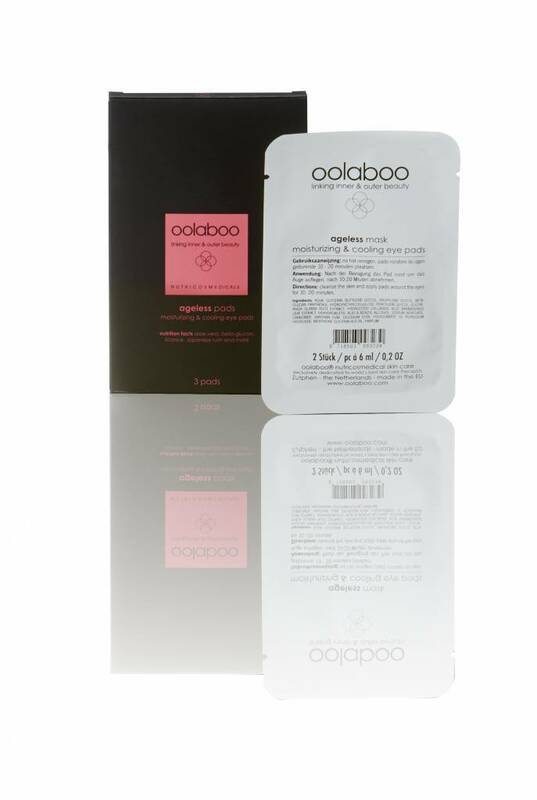 The eye pads fit the contours of the eyes perfectly and hydrate and energise the skin. The high concentration of hyaluronic acid, liquorice extract and grapefruit seed extract guarantees hydrated, smooth skin. Place pads on top of the eyes after cleansing and leave for 10 to 20 minutes. This product is 100% free of parabens, silicones, sulphates (SLS/SLES) and miral oils.